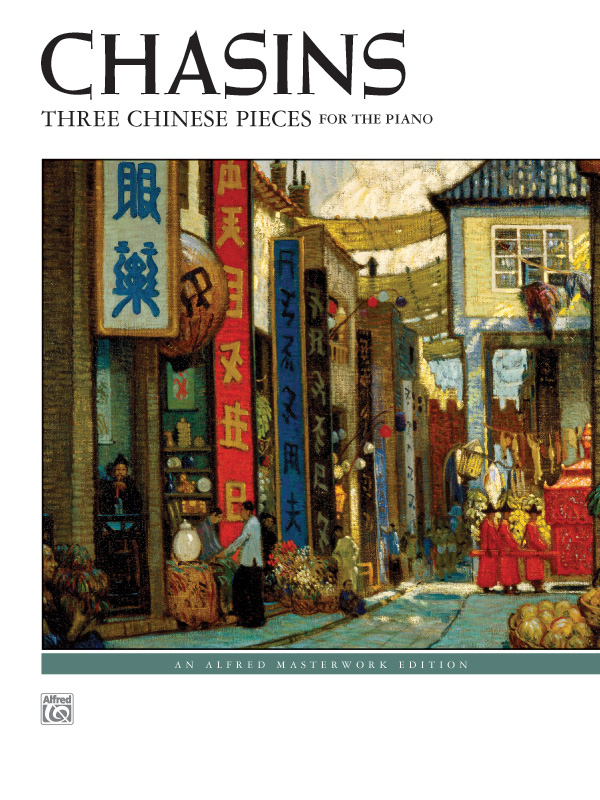 * American composer Abram Chasins became well known for his solo piano suite Three Chinese Pieces (1926). * Each movement sounds out the mood implied by its title: sorrow ("A Shanghai Tragedy"), romance ("Flirtation in a Chinese Garden"), and breathtaking frenzy ("Rush Hour in Hong Kong"). * Tempos and technical demands fluctuate from Lento through Presto agitato. * Titles: A Shanghai Tragedy, Flirtation in a Chinese Garden (for the White Keys Only), Rush Hour in Hong Kong.